EMORY B. FENSTERMACHER, Funeral Director Emeritus (In Memoriam) a life-long resident of Kutztown, passed away on Sunday morning, February 24, 2019 in Lehigh Valley Hospital, Cedar Crest, at the age of 83. He was the loving husband of Sandra E. (Scherer) Fenstermacher, whom he married on March 8, 1959. Born in Kutztown, Emory was a son of the late J. Max and Ella V. (Fink) Fenstermacher. Emory was a dedicated and faithful member of Saint Paul’s United Church of Christ, Kutztown, PA., where he served as an Elder, Deacon and former secretary of the Consistory. Emory was currently serving as chairman of the communion and visitation committee. He also served on the Pastoral Relations Committee, served as a Confirmation Class Mentor, and volunteered with many other church activities. 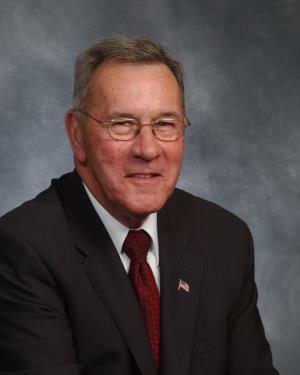 He was a 1953 graduate of Kutztown Area High School, where he was a member of the Boys Basketball, Baseball and Soccer Teams and played trombone in the band. He continued his education at Eckels School of Mortuary Science and Temple University, graduating in 1956, receiving an Associate Degree in Technology and his Funeral Directors license in 1957. Upon his college graduation, Emory pursued a career in Funeral Service, working for the former Fritz and Kendall Funeral Home in Kutztown. Following the opening of Max’s Thriftway Supermarket, Emory left funeral service and worked 30 years for, and later purchased his father’s supermarket in Kutztown, When the store closed in 1987, he decided to once again continue his passion for Funeral Service, working as a Funeral Director for Earl A. Trexler and James R. Ludwick at the Trexler-Ludwick Funeral Home in Kutztown and Topton, now Ludwick Funeral Homes, Inc. Emory served as the licensed supervisor of the Kutztown facility from 1990 until 2010. After 27 years of continuous service to the Kutztown and Topton communities, Emory retired in 2013, but still continued to help on a part-time basis. He was a member of the Kutztown Lions Club, since 1987, having attained a perfect attendance record. Emory was a Melvin Jones Award recipient in 2011 and also received the Pennsylvania Lions Foundation Award in 2010. Mr. Fenstermacher was a member of Huguenot Lodge #377, F.& A.M., Kutztown. Professionally, Emory was a member of the National Funeral Directors Association, Pennsylvania Funeral Directors Association, Berks County Funeral Directors Association and Eastern Pennsylvania Funeral Directors Association. Emory was an avid St. Louis Cardinals fan and enjoyed watching and following sports. He was a member of Cougar Tale, a founding member of Kutztown Area High School Athletic Hall of Fame and served as its secretary since 2002. He also enjoyed his frequent visits to Burger King, drinking a fountain Coke, and enjoyed social events with his family and friends. Most of all, Emory was a very proud father and grandfather. In addition to his wife of 59 years, Sandy, Emory is survived by his three sons, Craig B., husband of Dr. Kimberly H. (Hursh) Fenstermacher, York, PA; Taylor B. Fenstermacher, Winston Salem, NC; and Brent E. Fenstermacher, Fleetwood, PA; two grandchildren, Anna K. and Andrew C. Fenstermacher; sister-in-law, Margaret E. “Maggie” (Stein) Fenstermacher, Macungie, brother-in-law and sister-in-law, Earl A. “Deet”, husband of Bonnie J. (Scherer) Hoppes, Macungie, and several nieces and nephews. In addition to his parents, Emory was predeceased by a brother, Reverend Dr. William C. Fenstermacher, and sister and brother-in-law, Gloria A. (Fenstermacher) and Robert L. Webb.